Fundraiser by John Zwanenburg : MRI / Surgery for Polly. MRI / Surgery for Polly. Polly came to us a year and a half ago through a fantastic rescue operation - Save our Scruff. She came to Canada from Saudi Arabia and we lovingly took her awkward ways into our home. She flourished with us and our other rescue dog Coco. She's grown in so many ways, and has truly come out of her shell. We couldn't imagine a more perfect pet in our lives. She plays with the kids, is friendly with strangers and loves to cuddle. She's come so far from the extremely timid and cautious dog that we adopted. This past weekend Polly began suffering from cluster seizures. 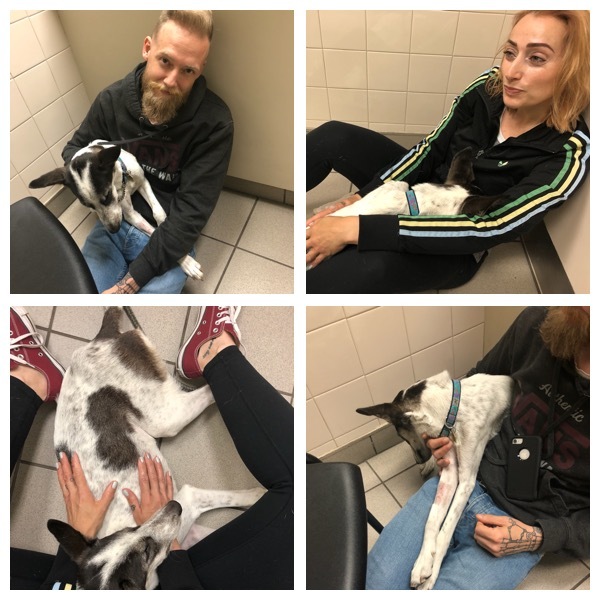 She had countless smaller seizures over the span of 15 hours and at least one major event as we took her to the animal hospital. We were holding out hopes that this was an easily diagnosed issue for her, and that she could be treated however unfortunately after spending the weekend in the hospital all her testing and blood work has come back negative for anything that could be causing these. 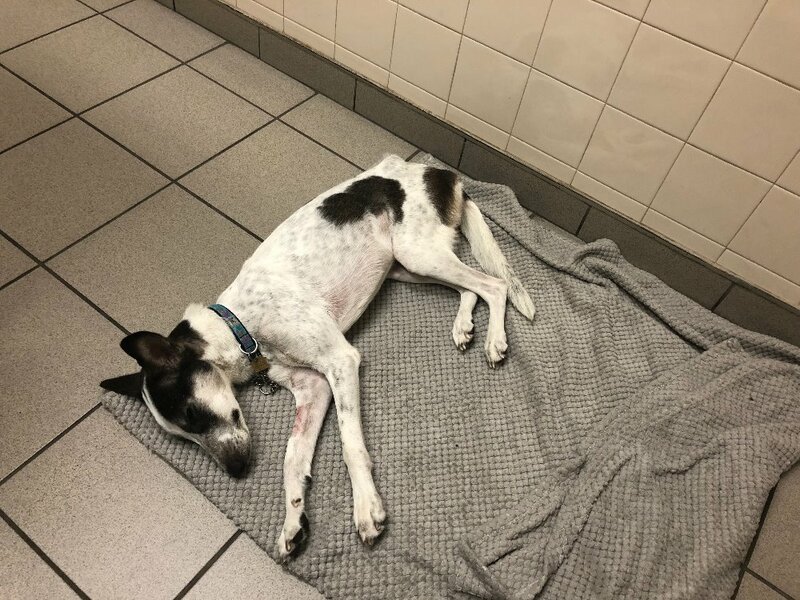 The Vets have suggested that we do further imaging in the form of an MRI, and while we would love to be able to do so - we cannot afford the costing associated with this, nor the potential surgeries that would be required afterwards. To date we have spent roughly $1600.00 on her trip to the hospital and will spend as much as we are able, but without further assistance we fear that we won't get her the treatment she requires. We are reaching out to those that understand the hardships in these moments with animals in their lives, to donate what they can and help us with the costs we are about to incur. We are not ready to give up on Polly, and she deserves the chance to come back from this as she is only 3 and a half years old. Thank you in advance for reading our story. 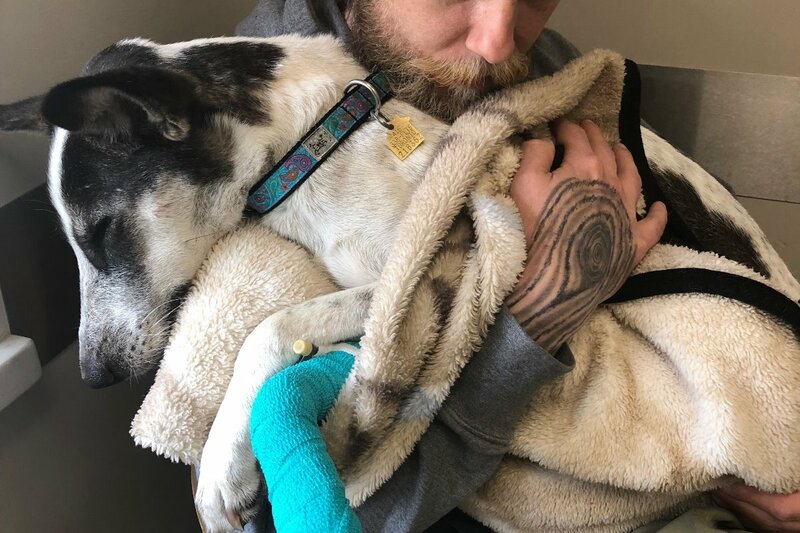 To all our family, friends and to those that we don't know that all donated so graciously towards helping Polly, it is with a heavy heart that I post this update. Today Jessica and I held Polly through her final moments with us. At one point mid morning Polly suffered yet another seizure and her body simply could not keep going. She began shutting down. We rushed to the hospital to be with her through her final moments and soothed her as best that we could as she drifted off. We cannot tell you how much everything you have done has meant to us. We could not have given her the chances that we did without your support and we will never ever forget your generosity. We will always have Polly in our hearts, and hope that you do to. She is no longer suffering, and all we can do is find some solace in that we tried to make her too short time with us as amazing as it could possibly be. We love you always Polly. Update for everyone - Highs and Lows. Last night Jessica brought Polly home as the doctors felt she was doing well enough and potentially responding to her treatments of steroids, antibiotics (in the hopes that it was infectious) and anti seizure medication. She came home just before 10PM and had two further seizures in the middle of the night. Jessica rushed her back to the hospital where she is again. Our poor Polly. All testing has come back negative now, and so the doctors are leaning towards the idea that this is a non-infectious central nervous system disease. They may potentially start her on treatment for this later today however they are wary as if this is something infectious, the medication she would receive could only make her worse. We thank you for all the support again, without this we would have not even been able to try the various things we have tried to help her. I wish that we had better news to give, but just know that we aren't giving up hope on Polly. She is a remarkably strong girl, a fighter and we hope she will battle through this. Expect more updates from us tomorrow as we learn more. Polly went in to see the Neurologist yesterday and got her MRI as well as a battery of other testing. This would not have been possible without your outstanding, generous and remarkable support. Jessica & I are forever grateful and cannot even begin to thank you all enough. This has happened due to the kindness of friends, family and strangers to us and has moved us so deeply. Never in a million years would we have thought to have made 1/10th of our goal on GoFundMe - let alone actually SURPASS our goal. Thank you, over and over again, thank you. The uncertainty remains. Polly's MRI has shown that she has Hyper Intensity throughout a large portion of her brain. Her left Thalamus has the most "activity" and is more than likely the cause of her circling, loss of vision on her right side and her other symptoms as well. We will see more test results from her PCR, ACCUPLEX and other tests over the next 48 hours. From those results the Doctor feels she can narrow down what continues to afflict our Polly. The Doctor is extremely concerned with Polly's state, she is uncertain that she can last and has given her Manatol, Steroids as well as a "blanket" antibiotic on top of her Epileptic meds in the hopes that she holds on so we can establish how to help her get through successfully. 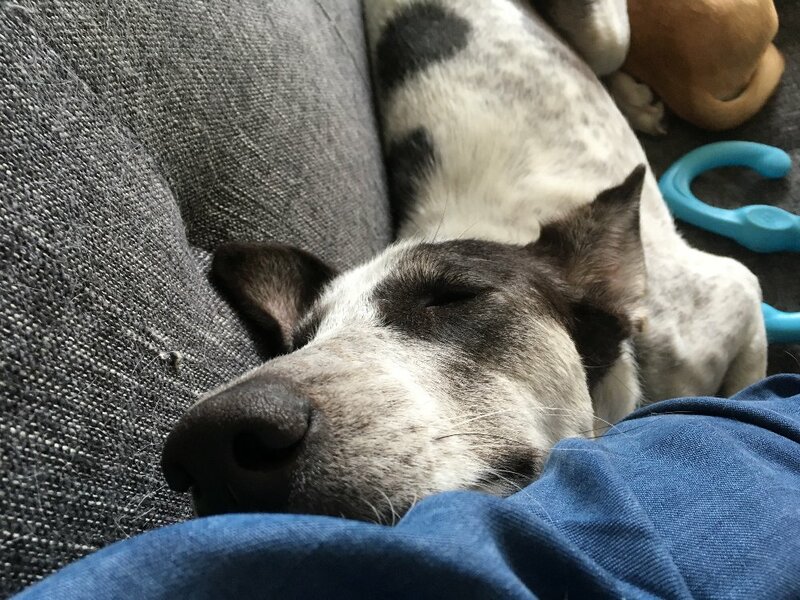 I've attached some photos from the Neurology clinic, our poor girl is so tired, so nervous - we will continue updating you as without you, none of what we have done so far would have been possible. So exhausted while at the clinic. Wanting to be close to us. Come back to us Polly. We miss you. Update as she’s home with us now. No seizures today thankfully, she’s taking her medication well. She’s extremely shakey. As far as we can tell she has zero vision in her right eye and you can really see how she typically only walks one way in her circles. We’re fairly certain this is a result of her cluster seizures and we are hoping this can be corrected after her diagnosis tomorrow. 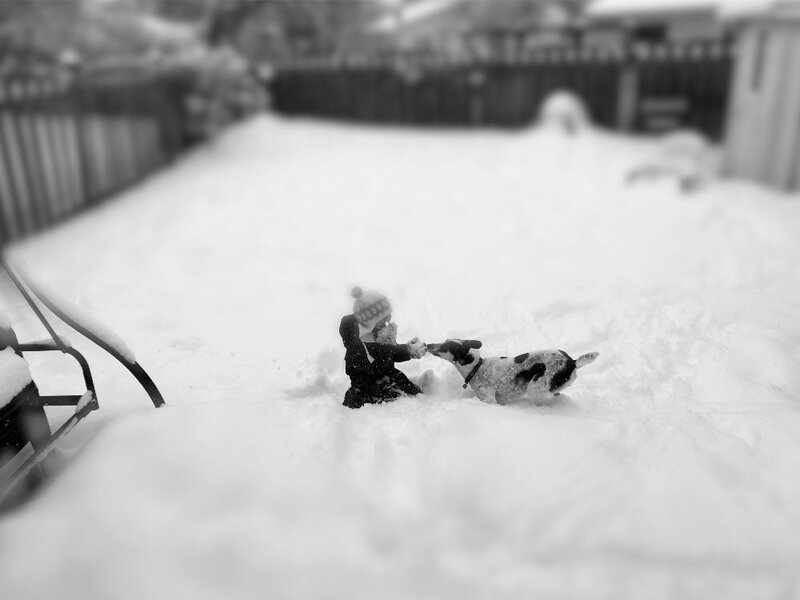 Walking around the yard.... and falling!